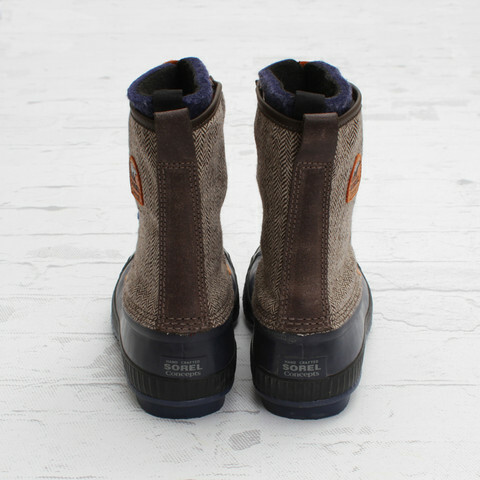 Dropping as a part of the Concepts x Sorel Fall/Winter 2012 collection is a brown and blue edition of the Sentry Boot. 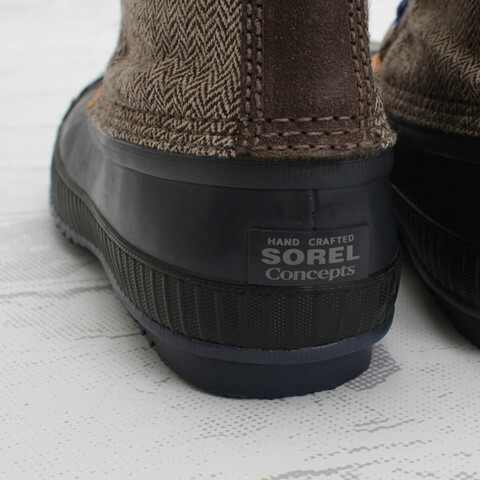 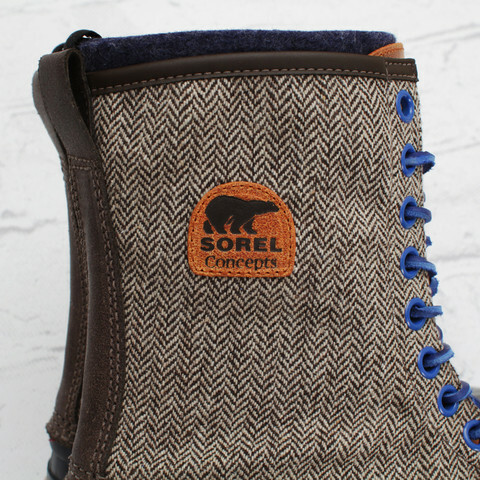 Concepts and Sorel team up this fall on the Sorel Sentry and Kitchner models. 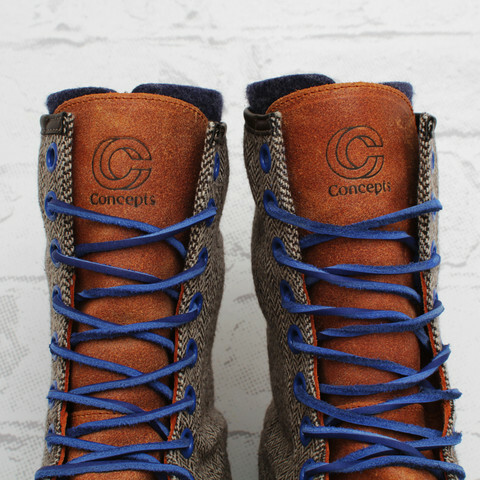 The Concepts Sentry Boot takes inspiration from Henry David Thoreau’s Walden Pond. 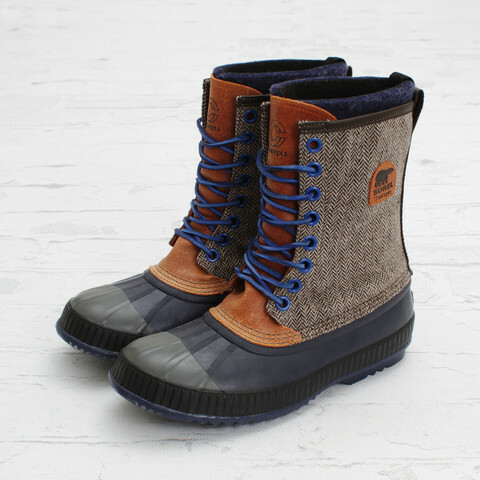 Combining a herringbone upper, Leather tongue, blue leather laces, removable 9mm recycled felt InnerBoot and Concepts branding throughout. 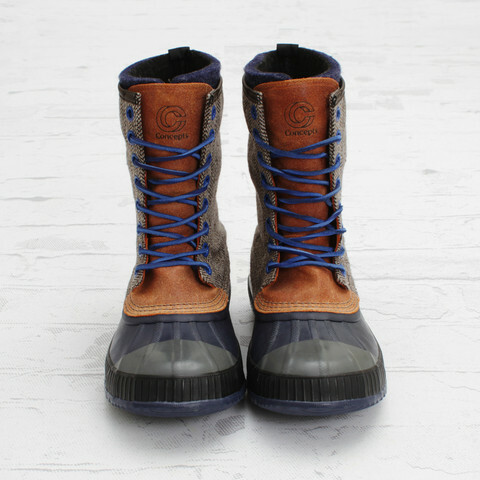 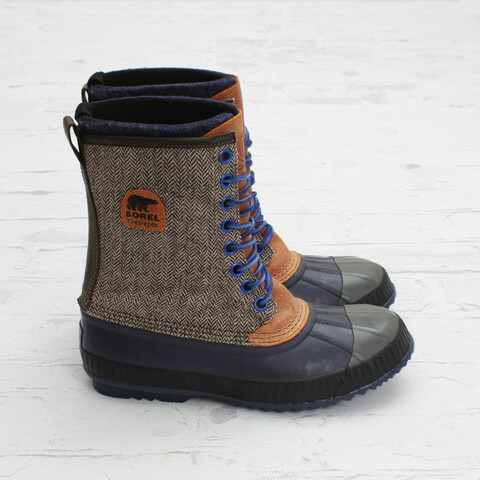 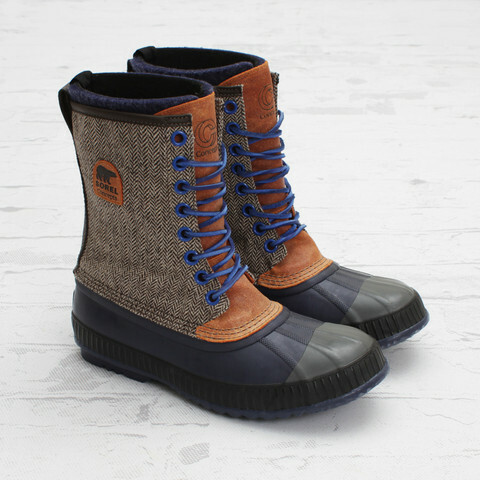 The boots have Seam-sealed waterproof construction and feature a Waterproof vulcanized rubber shell. 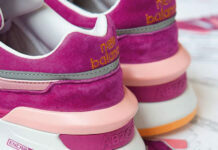 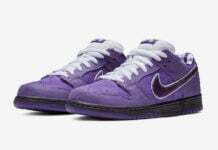 These will be available exclusively at Concepts and Colette in Paris on 11-23-2012.